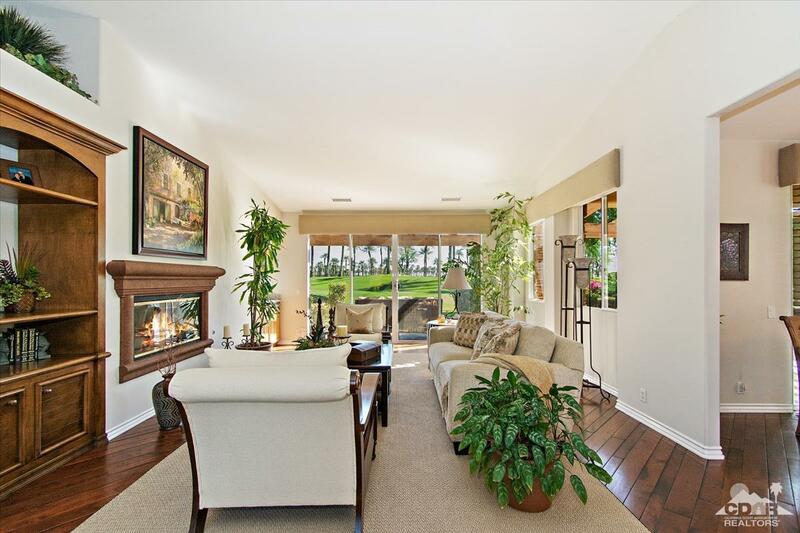 This Palms Golf Club former model home is located on the 10th fairway of the private, Fred Couples designed, Palms Golf Course. 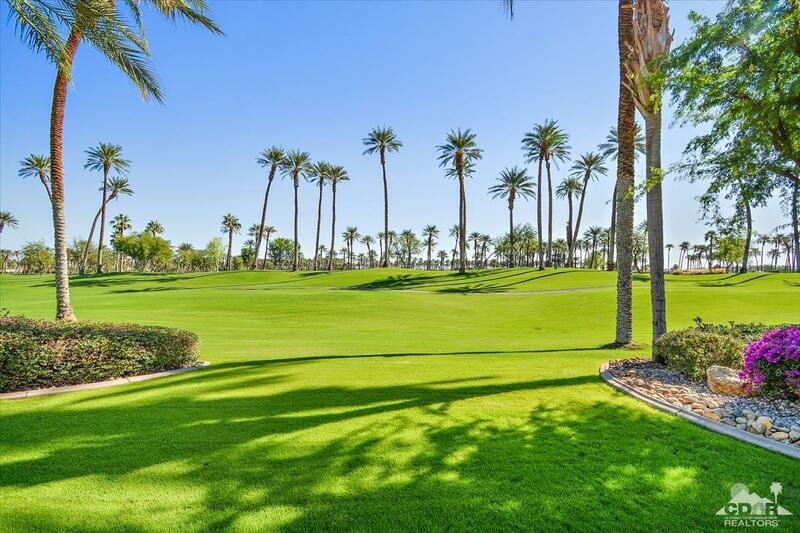 Walk to the clubhouse or enjoy the fabulous date palm lined fairway views from your patio. Enter the main residence or the casita from the private courtyard. Extensive upgrades throughout include wood floors in the main living areas & chef's kitchen featuring Sub-Zero fridge along w/Bosch dishwasher & slab granite counters. 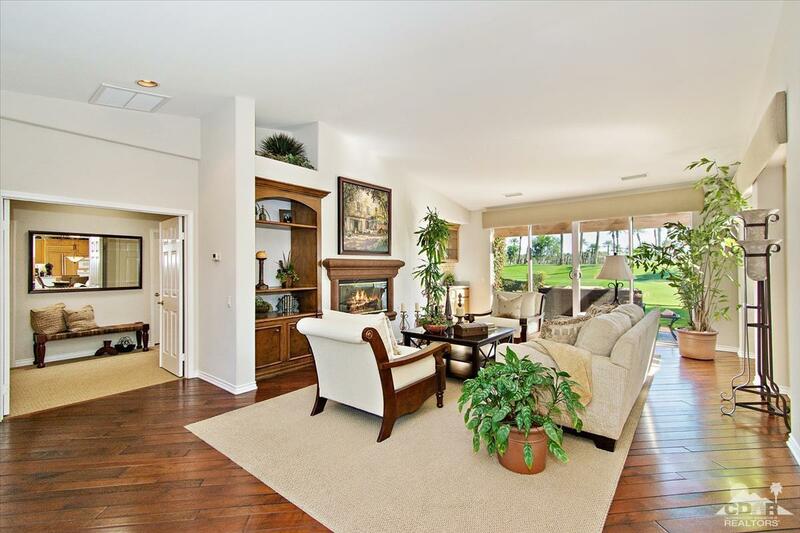 Other upgrades include built-in cabinets in the great room, den/office, & casita, spa tub in the master bath, a soothing fountain, custom wood shutters, window coverings, pavers & custom wall coverings. The Palms Golf Club is rated as one of the best golf values & courses in the desert year-after-year. No tee times & no waiting. Palms membership is not required but is available & there are numerous public golf opportunities. Close to world-class tennis, dining, shopping, biking, hiking, & all the desert has to offer. Low HOA's. Cross Street Address Airport Blvd & Golf Club Dr. Listing provided courtesy of Sheri Dettman And Associates of Keller Williams Luxury Homes. ©2019 California Desert Association of Realtors. All rights reserved. IDX information is provided exclusively for consumers' personal, non-commercial use and may not be used for any purpose other than to identify prospective properties consumers may be interested in purchasing. Information is deemed reliable but is not guaranteed accurate by the MLS or Bennion Deville Homes. Based on information from the California Desert Association of Realtors as of 2019-04-22T07:36:04.037. All data, including all measurements and calculations of area, is obtained from various sources and has not been, and will not be, verified by broker of MLS. All information should be independently reviewed and verified for accuracy. Properties may or may not be listing by the office/agent presenting the information.